Saturday's territory reset offers a fresh start for Albion's guilds. Watch all the action live on Twitch! 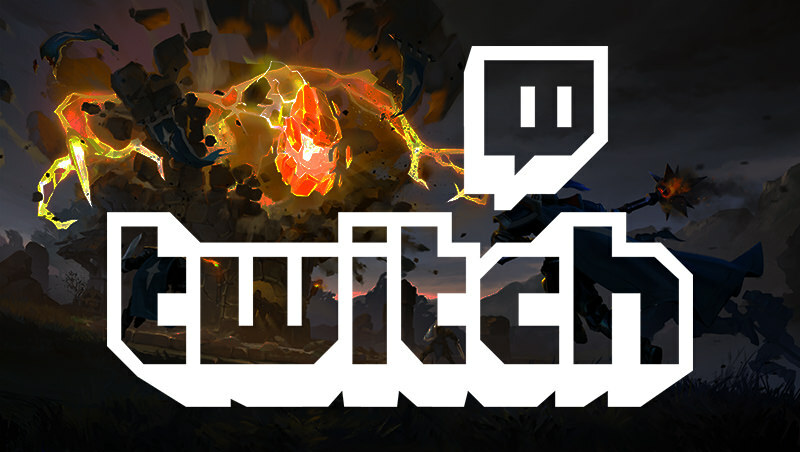 GvG Territories will be reset this weekend - and we'll be covering it live on the AlbionTV Twitch channel starting Saturday at 17:00 UTC. Join our hosts Lewpac and Shozen as they bring you up to date on the start of the season and cover the Invasion Day madness live! Starting at 18:00 UTC, guilds will have new opportunities to claim territories and launch attacks. 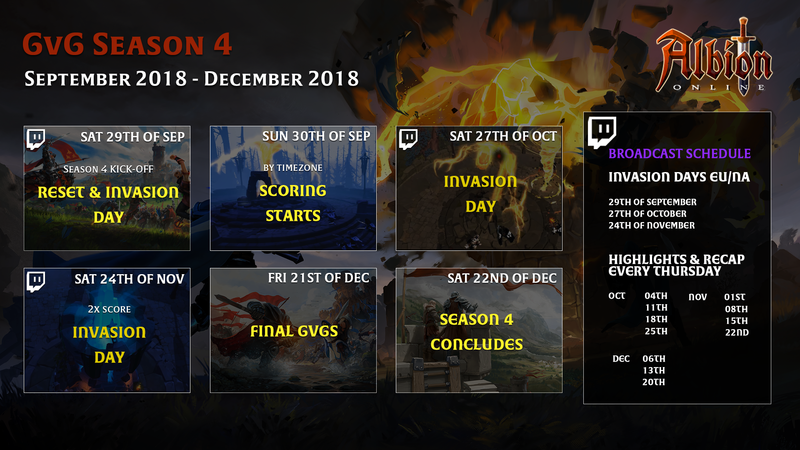 For the complete GvG Season 4 schedule, check out this forum post. You can also tune in Thursdays at 18:00 UTC for highlights from the previous week. Click here to watch recent highlight videos from the current season.